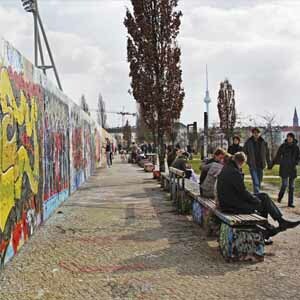 As artists, before offering our workshop graffiti in berlin, we've been graffitiing all over the world for over fifteen years, and still play an active role in the buzzing Street-art and graffiti scene of Berlin. We each developed our own unique style the way that only Graffiti artists can- on streets, trains, and rooftops. Graffiti is an illegal activity, a "crime" that is done in secret. Peoples see graffiti every day, without knowing what is behind it, some liking it, some not. Graffiti artists make them own marks on streets, trains, rooftops and impose them names to the public, as every brands do them publicity. More you paint, more you get known. Therefore, the more justices problems you get. This practice due to his illegality get to most of us to have justices problems. But this is the only way that graffiti artists can call themselves graffiti artists! Nowadays, graffiti and street art are succesful and popular. Many exhibitions, workshops, events, auctions are taking place all over the world. Loads of graffiti writers leave from them legal activities connected to graffiti. This evolution of the regards accorded to graffiti was a very long process. It took around 50 years, until some workshop graffiti in Berlin like our get to be possible. Allowing us, as graffiti artists, to present our culture to the most people possible. The best way of learning something is to try it out for yourself, which is why we do these Workshop graffiti in Berlin. 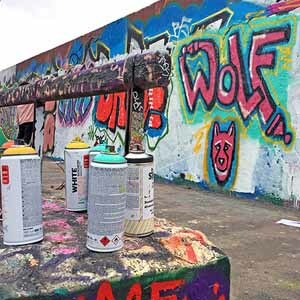 By giving people the chance to learn more about this subculture, and create their own artworks, we're excited to bring Graffiti and Street art to a new audience, and continue adding to Berlin's unique canvas through our workshop graffiti in Berlin. We've carefully planned out our Workshop graffiti in Berlin so that everyone is guaranteed a great time. We look forward to welcoming you along for the ride very soon!